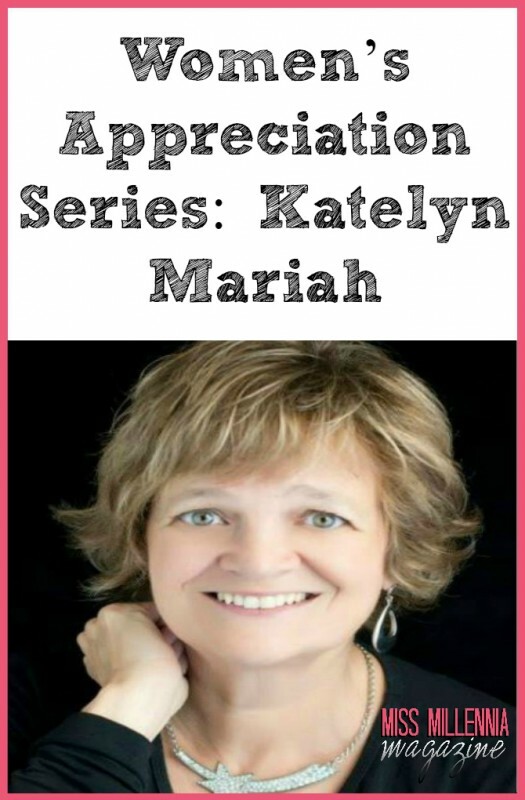 Katelyn Mariah started as a graphic designer, designing her own wedding invitations and adoption announcements. After her divorce she went back to school to study psychology, which she now has a masters degree in. From there she created the therapeutic game Angry Animals. With the help of her two kids, she assembled and marketed the game that became a best seller. 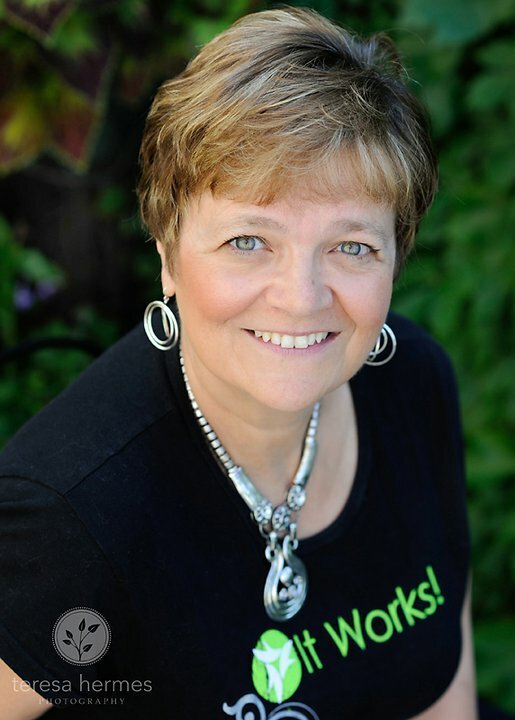 She sold the game to a publisher and moved on to her next career with It Works! Global, a company that sells The Ultimate Body Applicator. She is now one of the top income earners for It Works! Global. When she isn’t working or creating her own art, she helps other women accomplish their entrepreneurial goals through her networking group, Magnetic Business Women. What’s the hardest part of starting your own business? What’s the best and worse part about being your own boss? I have found that there are so many more benefits than challenges. I was a psychologist for 26 years and was looking for a way to be able to retire from that career. I chose network marketing because it is a way to create residual income, income that keeps coming even when you aren’t working. I can set my own schedule, work in my pajamas and build on line. I now have time to pursue my art career again, something I couldn’t do when I was working. I have always been an entrepreneur and started my first business when I was 21. This was designing wedding invitations and adoption announcements. I didn’t know anything about business so it was a huge learning experience for me. The biggest thing I learned was gaining knowledge about finding the best resources and negotiating the best prices. During that time I applied to be in the New York Stationary show which was a huge step in getting exposure. When they saw my work they offered me an exhibit space even though there was already a long waiting list. I also learned how to have confidence in my skills as an artist and business woman. It was foundational learning that has helped me become the business woman I am today. Was it hard to go back to school and major in something completely different than what you were used to? Returning to school and getting my psychology degree was the hardest thing I had ever done. I went back to school a month after leaving my ex-husband, partly because I believed I needed to get “a real” job and was afraid I wouldn’t have steady income from my graphics business to support myself and my two children. I came into psychology through art therapy so there was a natural transition. I was enrolled in a masters degree program, worked 3 jobs, one of them being my own business, and took care of my children who were 5 and 9 at the beginning. There were times when I would come home and there was nothing left to give to the kids. I was determined to graduate because I knew it would benefit us to do so. Ultimately I had to let my business go so I could work full time and that was very sad for me. Did you ever have any doubts about what you were doing? And, how did you overcome them? I have had a lot of doubts a long the way. I don’t think I would have been human if I hadn’t. I believe it is normal when you are starting your own business to have doubts. There are stressful times when you are in business for yourself and being a single parent like I was, I didn’t have a partner to bounce things off of our take over when I was stressed out. When I started with It Works! Global, I was one of the first 4 distributors in our area, selling a product that was hard for people to believe. When I told them I had a small body wrap that would cause them to slim down in 45 minutes, many people were in disbelief. The thing that kept me going was my strong belief in the product and confidence in myself. Someone told me early on, and I would say the same thing to anyone, “Don’t quit!” The only thing between you and success is quitting. I feel it is key not to compare yourself to others in the same field or in the same business. Everyone’s journey is unique and success comes at different times and in different ways for everyone. How did you get the idea for Angry Animals? Angry Animals was divinely inspired. One day the whole concept just dropped into my mind and I created it in a couple of hours. It came to me so easily that I wasn’t sure it would have any value. That was 24 years ago. I created the first 500 games myself with a small loan from a friend. I had all of the pieces made and myself and my two children put them together. This was before the Internet so I went to the library and researched addresses for psychologists and teachers around the country and did a mass mailing. Each of the games sold for $30.00 so over time I made $15,000 from the sales. The Internet has made it so much easier to market our products! I sold the exclusive rights to publish the game to a publisher and it became a best seller and has been from the beginning. It is in its second version and is now in Spanish too. I guess I was wrong about it having value! In hindsight, would you have changed any business decisions you made in the past? Even things that might not have been successful have taught me so much about business and about myself that I would not change a thing! Do you think being an entrepreneur is easier now because of the Internet? Like I send in question 6, the Internet has made it so much easier to be an entrepreneur and build a business presence. We are able to make connections all over the world that wouldn’t have been possible before. Even with so many new forms of social media and the learning curve it takes to understand them we have so many choices. We can pick ways they fit our personal style, such as Pinterest and Instagram for people who are more visual, Facebook for those who want community, and twitter for those who want speed. What advice can you give young women trying to start their own business? Surround yourself with like minded people who will support what you are doing. Know who those individuals are that might try to discourage you and don’t go to them for advice. You might also want to get a mentor or business coach, depending on what kind of business you are trying to create. In network marketing and direct sales there are always mentors in your upline who are willing to coach you to success. I would tell my younger self to get over myself, not to take things too seriously, and have fun, and that in itself will attract to you want you want. When we are worried and stressed out it contracts our energy field and we are not going to attract what we are looking for. It is easy to feel pressure both internally and externally to get the next sale, find the next business partner, make the next promotion, and make a certain amount of money. When we get caught up in that energy we are not open or magnetic to all the possibilities that might be around the next corner, and in fact we will attract exactly what we don’t want to attract. I use to get caught up in getting to the next promotional level and feeling bad when I didn’t. This year at our annual convention I received recognition for being one of the TOP 100 income earners in the company out of 40,000 distributors. This came as a surprise to me and it showed me that it doesn’t matter if I get to the promotional levels, there are other rewards that come naturally when you aren’t trying. How do you use the Law of Attraction in your life? The Law of Attraction is a natural part of how I live these days. I know that my thoughts create my reality and if things are not going the way I want to I need to look at what I am thinking about. When I am in the flow my business grows in natural ways. I can set intentions and see them happen almost immediately. When I am just having fun, not having expectations and hanging out in the magic enjoying the journey everything I desire and more comes true and magic happens. People call me out of the blue, or go on my website and place orders and I don’t have to think about how I am going to make that happen. My goals for the future are to continue to grow a successful business as I grow myself. I also want to spend more time traveling and painting which are both passions of mine. I want to leave a legacy for my children and grandson. How do you try to inspire and influence other women? I inspire other women in a couple of ways. I now have a team of 18,000 people in my It Works business, 3000 of them are distributors so I try to lead and inspire them on a daily basis through phone calls, emails, and our Facebook groups. I also lead by example which I feel is really important. About five years ago I created a networking group for business women in my area called Magnetic Business Women. My intention was to give women a place to network with other women and build relationships. I believe that the best way to build a strong foundation for your business is to build relationships. People buy people, they don’t buy products and services. They want to buy from people they know and trust. This group allows women to make those kinds of connections. This group has over 1000 members, which far exceeds my vision for it. I often tell the group that I want to see every woman become a millionaire or to achieve the kind of success they desire, and I will support that vision for all the women I come in contact with.